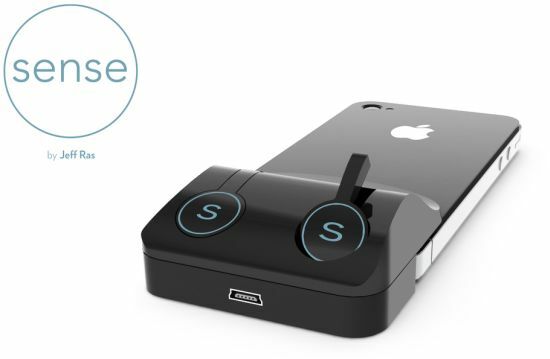 We often see people messing up with the cord of their headphones connected to the mobile devices, especially when you don’t those portable cord managers, to listen to music on the go. 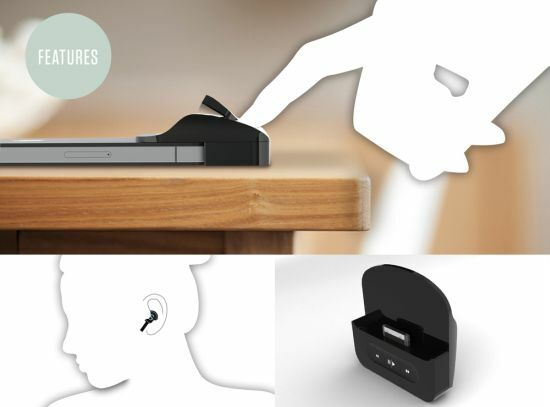 Removing the cord from earphones, American designer Jeff Ras has come up with an ergonomic pair of headphones dubbed the “Sense” that lets you enjoy music clutter free anywhere, anytime. 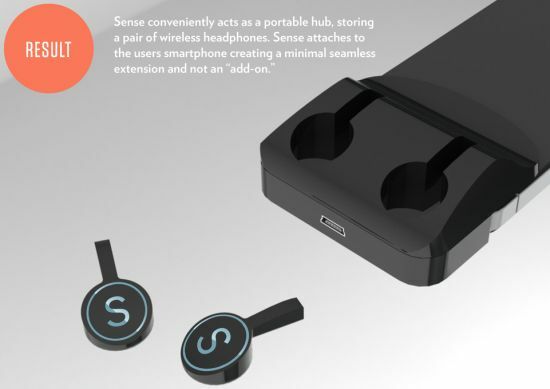 Fixing to your Smartphone (or any other portable device) elegantly to be used as an extension, the sense neatly hides a pair of wireless headphones that connects to your device via Bluetooth to offer seamless music without the clutter of wires. 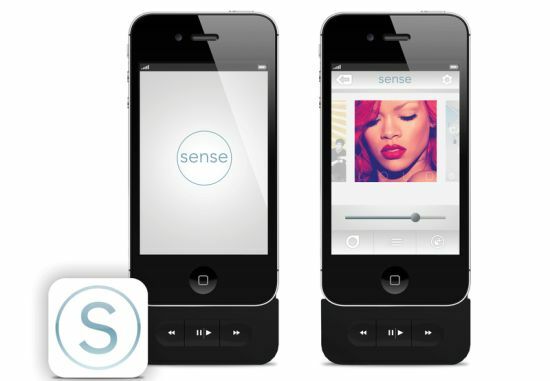 Easy to connect and remove, the Sense is not an “add-on” but it becomes an integral part of the Smartphone or PMP to enhance the music listening experience of audiophiles.